← What Can Happen if Your Senior Isn’t Getting Enough Sleep? More than 135,000 people will learn they have colon cancer in 2017. 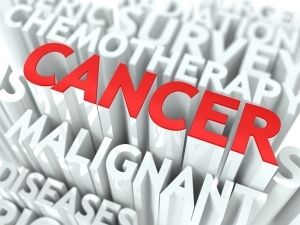 The American Cancer Society goes on to say about 50,000 will die from the preventable cancer. Here are four things you need to know. Symptoms of colon cancer are often ignored because they’re not troubling. You may be constipated or have diarrhea. You may notice your stool is narrower than normal for more than a few days. You may have abdominal pain. The signs that most people reach before going to see their doctor are blood in the stool or rectal bleeding. If the polyps have turned cancerous and the cancer is in the intestinal wall, surgery is necessary to remove the cancerous cells. If it’s spread to other organs or the lymph nodes, radiation and/or chemotherapy may be recommended. There’s a lot of research that links colon cancer with red meat. In addition, cooking poultry, beef, pork, veal, and seafood at very high temperatures, such as grilling, also increases your risk. More than two drinks per day for a man and one drink for a woman also increases your risk of developing colon cancer. If you must drink, make sure you avoid going over the recommended limit. To lower the risk, doctors have found that fiber is essential. A high-fiber diet can lower your risk. Eating plenty of fruits and legumes and sticking to whole grains helps improve fiber intake. According to the National Foundation for Cancer Research, 9 out of 10 colon cancer cases are in people over the age of 50. While it can appear at any age, it’s very common in older people. This is why it’s important to start going for screenings when you turn 50. Regular screenings are vital to preventing colon cancer. Before colon cancer forms, polyps form. Removing the polyps before they turn cancerous is key to preventing colon cancer. They can be quickly removed during a screening. You must make sure your parents go for regular screenings. If they no longer drive, bring them or hire someone who can. If your parent is diagnosed with colon cancer, surgical removal of some colon is often recommended. If this happens, you need to make sure your parent has someone to help out while they recover. Home care professionals assist with many aspects of daily living. They can remind your dad to take his medications. Home care providers can do the laundry for your mom to prevent her from trying to carry a heavy object while she heals. Your parents can have help with meal preparation, transportation, and grooming. Learn about all the possible services by calling our home care agency now. This entry was posted in Challenging Diseases/illnesses/Conditions, Home Care Covington TN and tagged Home Care Covington TN. Bookmark the permalink.